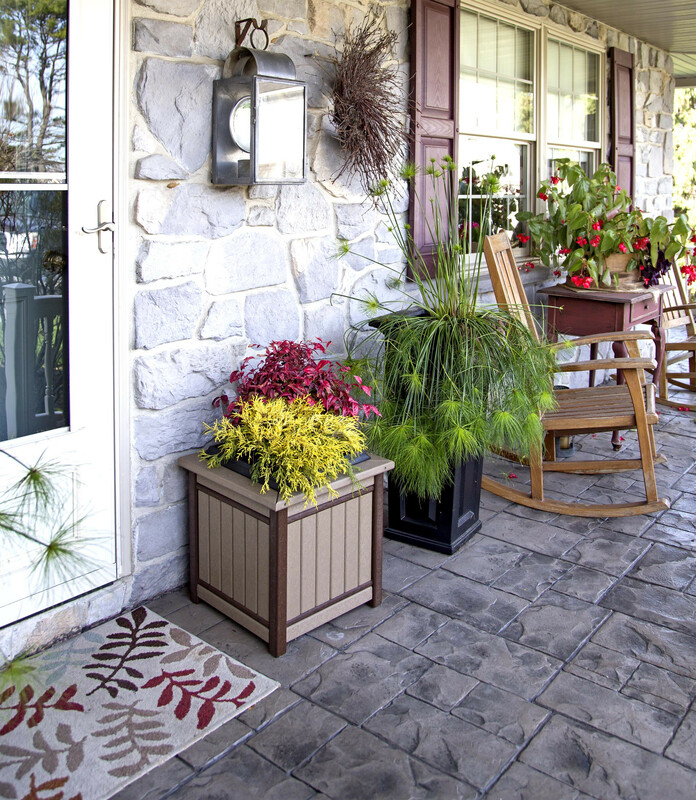 Add curb appeal to your home or business with our durable and attractive poly flower planters. They can be used in either resdential or commercial settings. Poly Lumber is made from recycled plastic milk jugs otherwise destined for a landfill. When using plastic lumber, you are helping the environment as well as utilizing a long lasting, maintenance-free product. 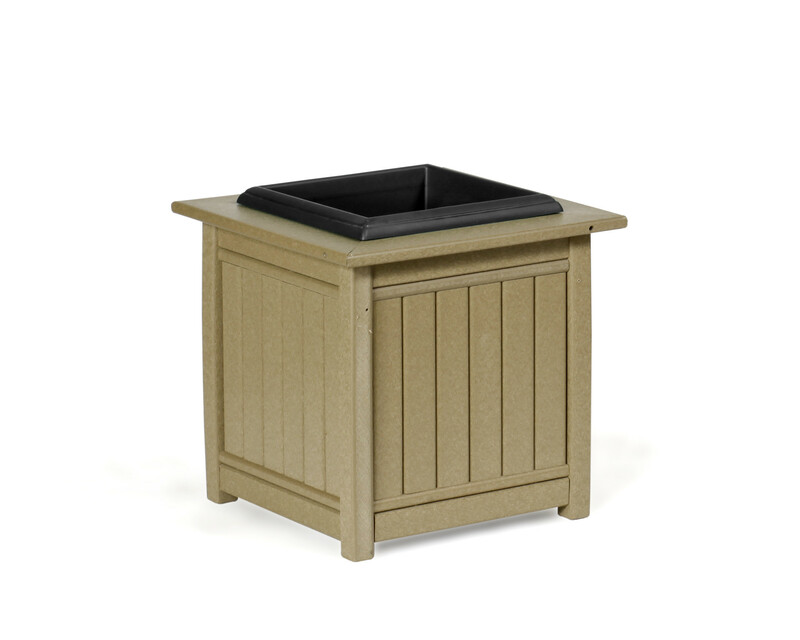 It is resistant to all insects, termites, boring worms, microbe activities, and wet rot found in outdoor environments. It will not split, splinter, or rot. It does not absorb moisture or promote bacterial or barnacle growth. This resistance is accomplished without any hazardous chemicals as those utilized in the pressure treatment of wood. Laboratory testing shows no leaching or release of chemicals into the soil or marine environments. Our vinyl products our a great alternative to chemically treated wood.